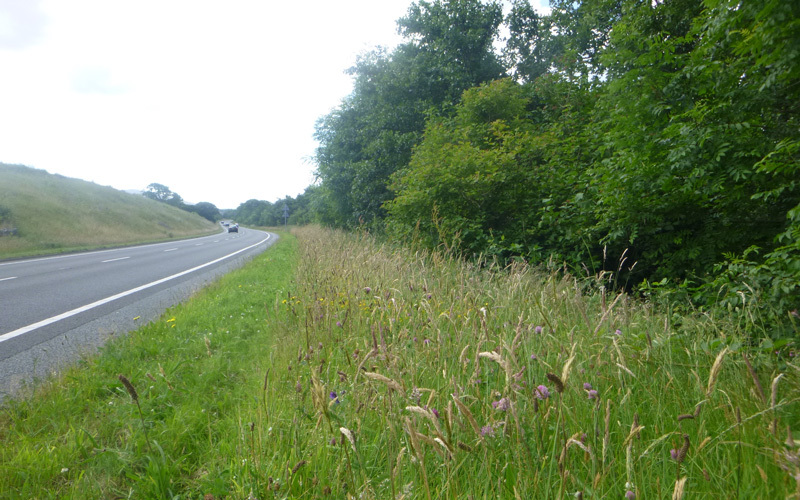 North and Mid Wales Trunk Road Agency (NMWTRA) are committed to managing their land for biodiversity and have an array of Trunk Road Biodiversity Action Plans (TREBAP), which cover a variety of different habitats and species. One of these plans includes targets for orchids, which involves bringing sites with orchids, or high potential sites, into appropriate management. Although orchids are especially highlighted, correct management of these sites will benefit numerous other wildflowers. In 2013, YGC Environmental team were commissioned by NMWTRA to produce management plans for 10 high priority verges along the carriageway and slip roads known as the A55 soft estate. In order to carry out this task, it was essential that firstly, existing ecological data on the A55 soft estate was interrogated using GIS software and potential sites were identified on which to focus survey efforts. Then followed the task of completing the relevant risk assessments, safety briefings and fieldwork planning required for working on the high speed A55 carriageway. An external consultant, with specialist skills in botanical surveys, was employed to play a vital role in the detailed survey element of this task. 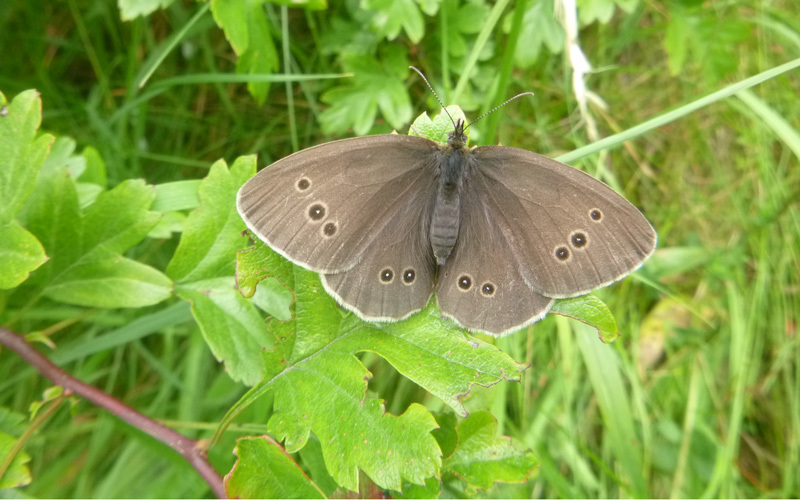 The 25 sites chosen to survey were varied, ranging from tiny to huge, from fine leaved grasslands to dense scrub and woodland, from flower rich to rank and species poor. Some sites even managed to combine several of those attributes in one place, resulting in considerable species diversity. 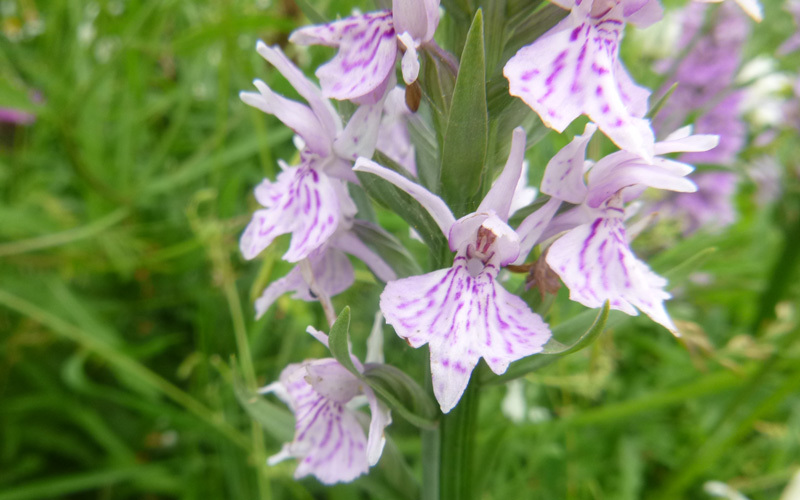 The driving purpose behind the survey was orchids, of which 5 species were recorded; Bee orchids at 5 sites, Pyramidal orchids at 5 sites, Common spotted orchids were found at 18 sites, Northern marsh Orchids at 2 sites and Common twayblade at 3 sites. In addition to the orchids, a wide range of plants were recorded, including a number of delightful calciphile species such as yellow wort Blackstonia perfoliata, fairy flax Linum catharticum and ploughman’s spikenard Inula conyzae. The plants were growing in a fine fragment of calcareous turf, a habitat of extremely low productivity in terms of biomass but one which supports a stunning diversity of vascular plants. Amongst the prolific displays of wildflowers, it would have been hard not to notice the hoverflies, bumblebees and butterflies which were present in such numbers and variety as is seldom seen in the wider countryside today- drawn in by the generous supplies of pollen and nectar. Our orchid management plans therefore compliment the Action Plan for Pollinators by directly helping to reduce and reverse the decline in wild and managed pollinator populations. The best of the main road meadows identified in the survey will be managed by NMWTRA following a simple cutting late to allow the plants to flower and seed and removing the cut material to prevent a build-up of biomass . This regime resembles the management of traditional hay meadows. Some of the management plans produced, which were distributed to the A55 maintenance teams, also include recommendations to clear and control scrub which is encroaching some of the sites. It is often painful to observe the ecological breakdown which seems to typify much of the recent history of our countryside, but next time you travel on the A55, you may choose to take a little comfort from knowing that there is a biodiversity rescue and recovery service operating on the verges.